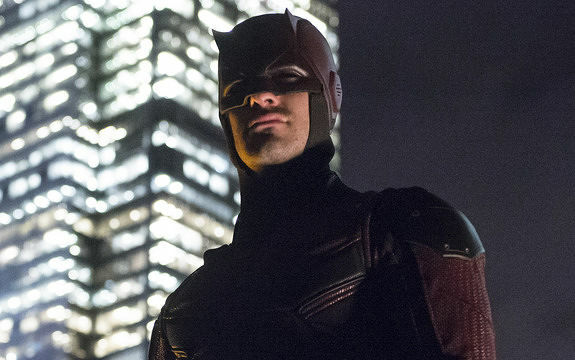 A second season of Daredevil appears to be in the cards, though its original showrunner won't be returning. Replacing season 1 showrunner Steven DeKnight are Doug Petrie (Buffy the Vampire Slayer, American Horror Story) and Marco Ramirez (Sons of Anarchy), who had a hand in the first season. “While previous commitments unfortunately prevent me from continuing on with Daredevil into its second season," DeKnight said in a written statement, "I could not be happier that Doug Petrie and Marco Ramirez are carrying the torch. They were invaluable collaborators during our first season, and I for one can't wait to see what they do with the show moving forward." DeKnight was actually the second showrunner, taking over for Drew Goddard, who left the series during season 1 pre-production, at the time to write and direct a Sinister Six film for Sony. Goddard penned the season's first two episodes and is rumored to have contributed to an outline for the second season of the show prior to his exit. Though Netflix already has a fairly full slate of Marvel shows in the works - "Marvel's A.K.A. Jessica Jones" is releasing later this year, and "Marvel's Luke Cage" premieres on the streaming service in 2016 - Daredevil season 2 is slated for a 2016 release as well. As a huge fan of season 1, I'm looking forward to a second series. Let's just hope the show finds a way to change costumes as quickly as it changes showrunners.